I really like dips for a snack. They are a quick and easy way to tie me over after work and until supper is ready. It is often this snack that gives me the energy to make dinner instead of just devouring whatever is at hand when I open the fridge. My standby as of late has been tzatziki, but with the main ingredient being yogurt, it is not that substantial, and I end up eating quite a few pretzel chips. 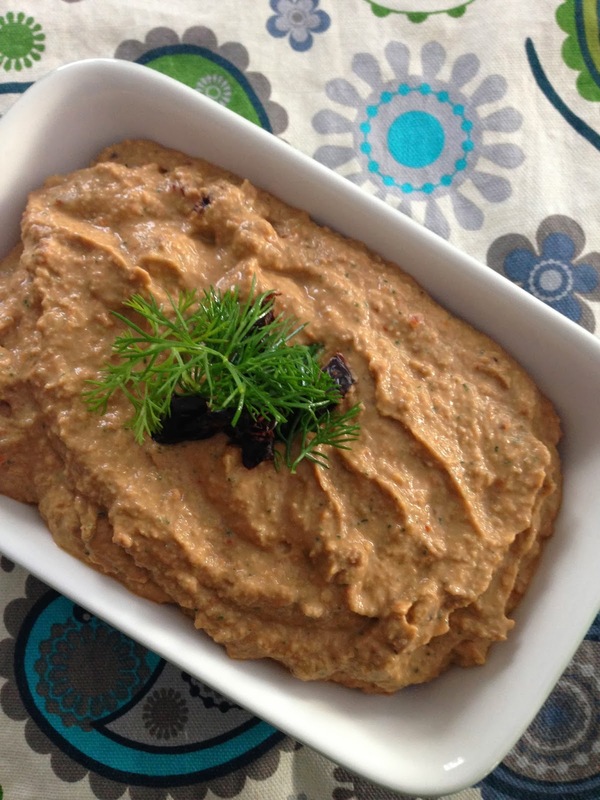 So, when I was looking for substitutes, I came across a recipe for a mung bean hummus. I had never tried mung beans before, even though I had seen them in the store several times, because "mung" sounds gross and they are also a weird dark green colour. The combination together just put me off. But, then I heard that they are actually quite neutral tasting, so I decided to give them a try. In addition, I decided that a cross between a hummus and a tzatziki would be the perfect combination of light and satisfying. 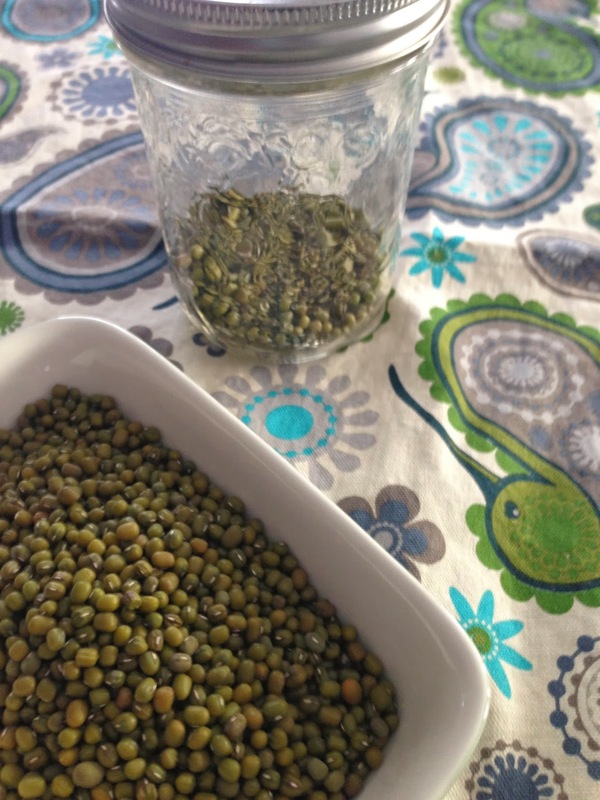 By the way, mung beans are a great source of protein, iron, and vitamin B6! This recipe makes about 2 cups of dip. 2. In a small food processor, combine all ingredients. You may need to add up to 1/4 cup of water to adjust the consistency. It should not be too thick. 3. Refrigerate for several hours to allow flavours to come together. Enjoy! 1. Mung beans are usually either sold in the bulk section or the "international foods" section of the grocery store. Alternatively, you can find them at natural foods stores. 2. Sun dried tomatoes come in three forms: moist and ready to eat, dried, or packed in olive oil. You can use any version in this recipe, but if you use the dried kind, you will need to reconstitute them in boiling water. I used the moist and ready to eat kind. 1. If you can't find mung beans, you could use white beans instead. 2. Serve with dipping crackers or raw vegetables. If you store this for more than a day, it may become thicker. Just put it back in the food processor with a bit of water to loosen it up. Yep. The mung beans are surprisingly neutral tasting!